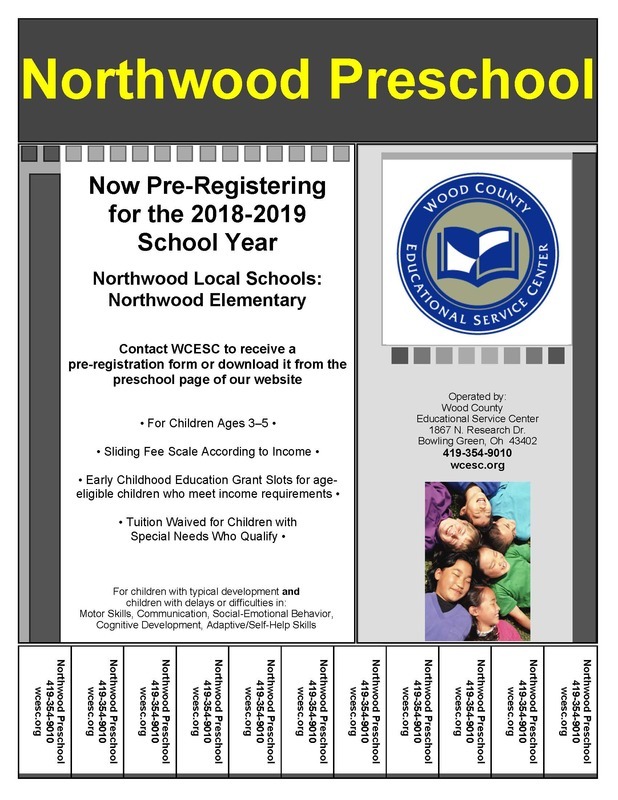 The Wood County Preschool, operated in collaboration with the Wood County Educational Service Center, is pre-registering for the 2018-19 school year. The preschool programs are developmentally appropriate, play-based preschools supporting the Ohio Department of Education’s model curriculum. Please contact Naomi at nstickles@wcesc.org or 419-354-9010, ext. 133 to get on the 2018-19 mailing list. Parents who have questions regarding children who may have special needs can also contact Naomi.